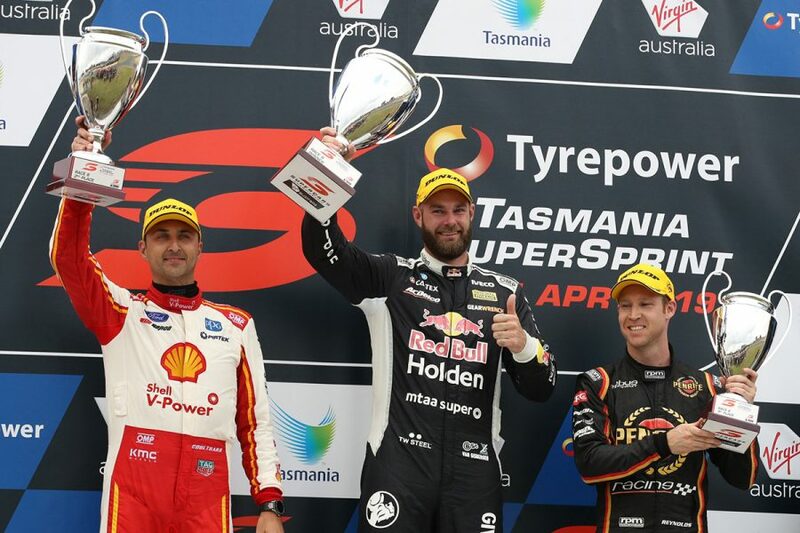 Shane van Gisbergen won the second leg of the Tyrepower Tasmania SuperSprint to halt the Ford Mustang’s winning run. Ford’s new Supercar took out the first seven races of 2019, before the Red Bull Holden Racing Team driver broke through at Symmons Plains. Van Gisbergen was only headed through the second stint on strategy by Shell V-Power Racing’s Fabian Coulthard. 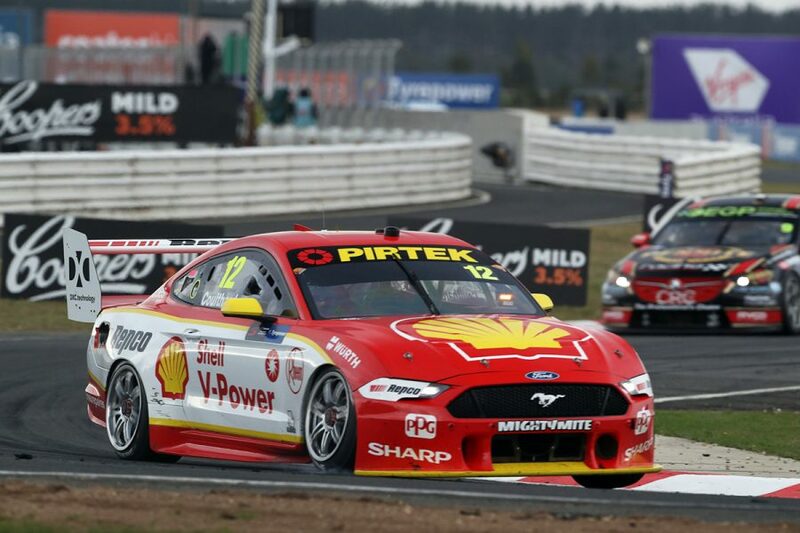 From two seconds behind, van Gisbergen ranged up to the back of Coulthard’s Ford approaching the halfway mark, then reclaimed the lead on lap 43, before the second stops started. 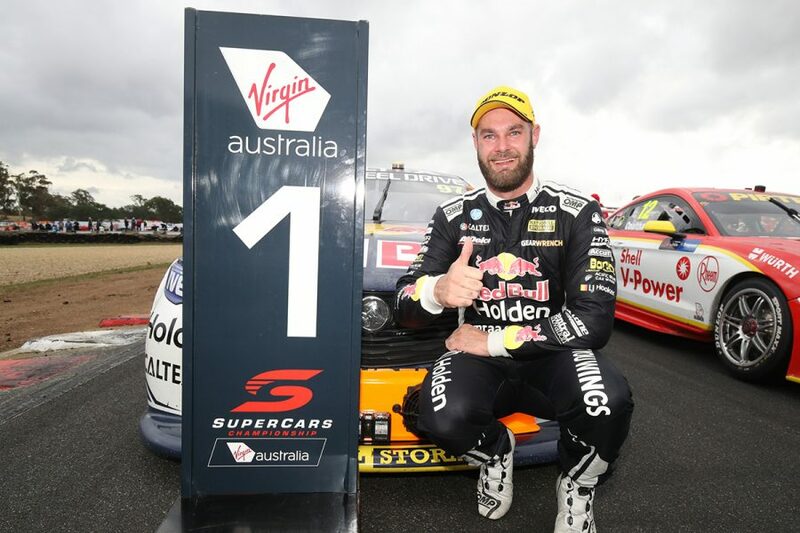 With his first win of 2019 and 32nd of the New Zealander’s career, van Gisbergen moves back up to fourth in the championship after a torrid Albert Park weekend. “It’s good to get one back,” he said. “What an awesome race, Fabian kept getting me out of the pits, and I had a great battle with him and Scotty. “I took off at the start and he got right back to me and I thought I was in trouble, but he burnt his tyres up. “Once our tyre life was good I knew I’d be ok and the team did a fantastic job in the pits. “We’ve made a huge step forward with our car. Coulthard’s focus in the final stint shifted to Reynolds behind. But the Penrite Racing driver could not make it stick, Coulthard crossing the line as van Gisbergen’s closest challenger. 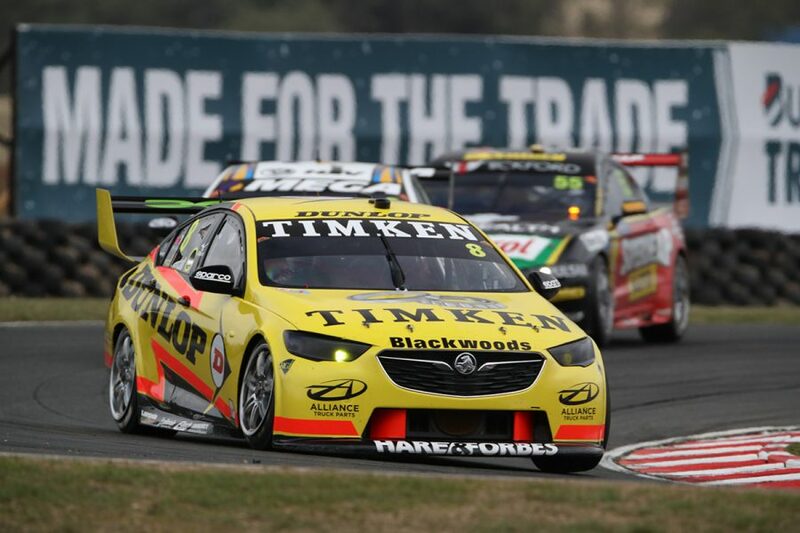 “[Van Gisbergen] was definitely the quickest car today. We gave it our best shot,” Coulthard said. The result was Reynolds’ first podium of the 2019 season. Nick Percat started 16th but was the race’s big mover, the Brad Jones Racing driver finishing seventh.